Pokemon GO is a huge success. In less than two weeks after its release, it has become one of the most successful mobile games of all time. Additionally, this game has boosted Nintendo’s stock price by 25%. But why? Read more. My learnings about building products from last year trip to the USA. Gamification – the application of typical elements of game playing (e.g. point scoring, competition with others, rules of play) to other areas of activity, typically as an online marketing technique to encourage engagement with a product or service. 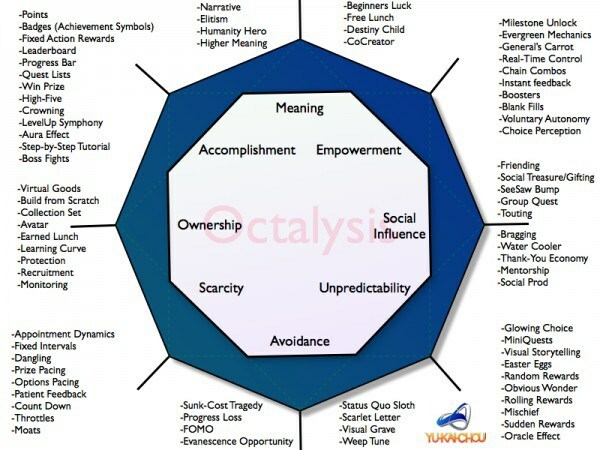 I would like to share some motivation to play games according to Octalisys gamification framework.